It’s Harry’s Pizzeria On Wheels! TGHG Director of Special Events Lindsay Guidos with Chef, tasting out the goods. All Genuine photo shoots are edible! 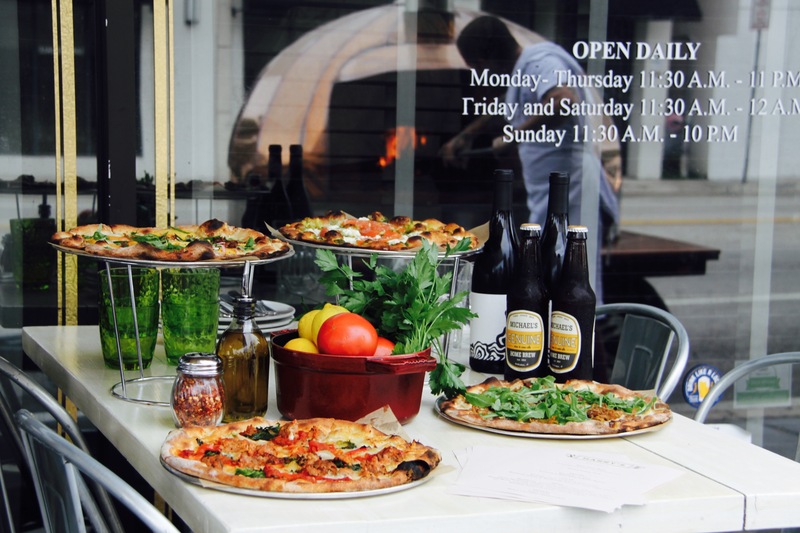 Miami’s favorite casual neighborhood joint, Harry’s Pizzeria®, is hitting road from its headquarters in the Design District as Michael Schwartz readies the opening of our first new location in Coconut Grove!!! The Genuine Hospitality Group is now proud to offer Harry’s Pizzeria on wheels, bringing the pizza party to you courtesy of Michael Schwartz Events with a beautiful, copper-domed mobile wood-burning oven. This latest offering from the company’s growing off-site events and catering outfit makes popping up a Schwartz-approved pizza party virtually anywhere in South Florida a reality. Chef de cuisine Daniel Ramirez, stoking the flames! Working it like the pro he is. 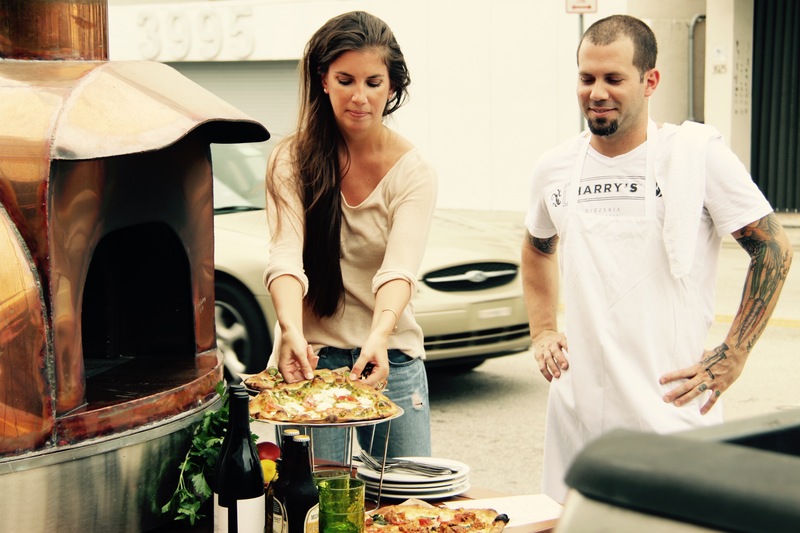 Like its on-site private parties, Harry’s Pizzeria’s mobile oven option makes for water cooler-worthy office happy hour gatherings, bachelor and bachelorette parties, and unforgettable kids’ birthday celebrations. Menus are fully customizable from dedicated pizza parties featuring Harry’s favorite pies, to family-style spreads that showcase the restaurant’s favorite snacks, bright and colorful salads, entrée specials, and desserts. Leverage the group’s Genuine coffers to complement the meal with craft beers and new world wines like Chef’s own Lua Rossa red blend, as well as old world standbys from Wine Director Eric Larkee’s lists across all Schwartz restaurants. Wish we could park the oven in front of Harry’s every day! For menus and pricing, including planning parties at any of The Genuine Hospitality Group restaurants, please reach Lindsay at Lindsay@thegenuinehospitalitygroup.com or 203.313.4503. Check out the feed on Instagram at #HPMobileOven and #michaelschwartzevents.